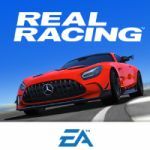 Real Racing 3 is the next sequel to the highly successful Real Racing series on iOS and Android devices. For this installment, Porsche will be making its debut in the game as well as licensed tracks such as Laguna Seca as shown in the trailer. Several sources have also mentioned Silverstone and Indianapolis as licensed tracks. The 16 car grid from its predecessor has been increased to a 22 car grid. Real Racing 3 is set to deliver a rich, next-gen racing experience on mobile devices and realistic physics. The game will be released some time in 2012 but no specific date has been set yet. ...Well this seems interesting, first Grid 2, now this... This year is going to be interesting for the racing genre with Most Wanted and F1 2012 coming in the year too. Edit: Cover picture completely messed up... Now I can't redo it. When It just to Release??? Maisak wrote When It just to Release??? WTH??? I added like 10 cars yesterday and still they didn't get accepted? i'm waiting for some of my other ones to get accepted as well, which ones did you add? redlineviper wrote i'm waiting for some of my other ones to get accepted as well, which ones did you add? looks like finally they got accepted. My ones are the Phone off footage. This game is now free to play, get ready for massive overpriced items in this game. wicken wrote This game is now free to play, get ready for massive overpriced items in this game. Off topic, but I couldn't figure a better place to mention this. I just found this article on Autoblog about a game called Table Top Racing, and it had pictures of the cars in the menu, and there's no watermarks on any of them. I was wondering, since they're in-game screenshots, if I could make a page for the game. I've even found a pic for a 'cover picture', and the article mentions it being made by Playrise Digital. carcrasher88 wrote Off topic, but I couldn't figure a better place to mention this. I don´t see a reason why you shouldn´t! Hahahah Scumbag EA. It's either Wait or Pay. For a mobile game, the damage isn't bad, although there are lack of details. The Huayra and the ZL1 are both listed twice. 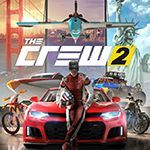 The new update adds 2 Chargers (R/T and SRT8) and 2 Lexus vehicles (IS-F and LFA). I'll get pics soon. In the next update I hope they add an Toyota like the Supra Mercedeses like SLS. Next Real Racing update will include Le Mans and the new Porsche 919! Anyone here have the new version 3.0, aka the Scuderia Ferrari update, yet? For those who don't know, it adds the 1950 375 F1, 1995 412 T2, and the 2014 F14-T, plus Monza is added to the track list. They got new update include Aston Martin Vantage N430, Aston Martin Vantage GT3 & Aston Martin Vantage GTE..
NEW UPDATE - 2015 Audi R18, 2015 Porsche 919 and 2015 Nissan GT-R LM Nismo! I thought it was exclusive to a certain developer or to the nascar game, how did asphalt 8 also license a nascar car? Did EA got the nascar license too and is it exclusive to them now? Probably because Asphalt 8 and Real Racing AREN'T console games, but mobile games. The NASCAR license is likely still exclusive to Dusenberry Martin Racing (who published and developed NASCAR '15 and is doing the same for the upcoming NASCAR '16 for 8th gen consoles) for gaming consoles. carcrasher88 wrote Probably because Asphalt 8 and Real Racing AREN'T console games, but mobile games. Added the new cars, the only thing I'm not certainof is the Chevys classification, both are classified as Racecars in the game so I did the same here though I'm not sure. It is pretty much IGCD before big update, and it is for real cars. JFK wrote It is pretty much IGCD before big update, and it is for real cars. Sorry for the little OT, but does IGCD still have a search function for a specific car (not a game) ? Yes I think it should be added back. I used it very much and I miss it very much too. It was very helpful and I hope it comes back. I did my research and fixed all of them , apparently all had a small error in them . And since when are you an admin ? I've been busy and inactive for a while. Looks good, have this on my tablet I think. With all those cars modeled they could do some competition against console sim-racing no? So much updates. So much fun. New updates 5.6.0 is Aston Martin One-77, Aston Martin Vantage AMR Pro, Jaguar XE SV Project-8 & Lamborghini Huracan Super Trofeo EVO. New updates 6.0 is Lamborghini Huracan LP640-4 Performante, McLaren MP4/4 & Nissan Silvia R3 Spec. Plus new updates was 3 already car is 2017 Ford GT. The 2 Camaro & NASCAR 2018 are already set. You forgot add 2017 Aston Martin Vantage GTE. mhaziqrules wrote The 2 Camaro & NASCAR 2018 are already set. You forgot add 2017 Aston Martin Vantage GTE. If I wait for new updates. 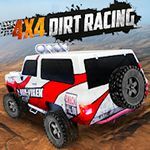 I comment to add new car. I need a Subaru Impreza (GC) in the next update so I can ride one! Even the Lotus Esprit and Elise. Aginnon wrote I need a Subaru Impreza (GC) in the next update so I can ride one! Even the Lotus Esprit and Elise. I'm Sorry. 6.3 for Le Mans 2018. Right before 6.4 Include Subaru WRX STi (2015), Lotus Esprit V8 & Lotus Elise (2006). New Updates 6.4. Make a wish for new cars. Be aware. 6.5 is coming. - The three Aussie V8 Supercars 2018 like Ford Falcon FG X Supercars (2018), Holden Commodore ZB Supercars (2018) & Nissan Altima Supercars (2018). mhaziqrules wrote Be aware. 6.5 is coming. Look at the video at 6.6. I see new Porsche 911 GT2 RS [991.2] looks car cover at Forza Motorsport 7. 7.0 is new 7 cars & 1 new track is Circuit of the Americas. 7.0.5 is more Nissan R3 Specs like 2 JDM & 2 Nismo custom built. I will upload better pictures of the new cars today.Also i would like to reserve future rr3 content as i am a frequent player (i play this game since 2014). Would you please tell me which cars need better pictures?